What does your perfect summers day look like? Do you see yourself sprawled out on a lounge chair catching rays in your new bikini? 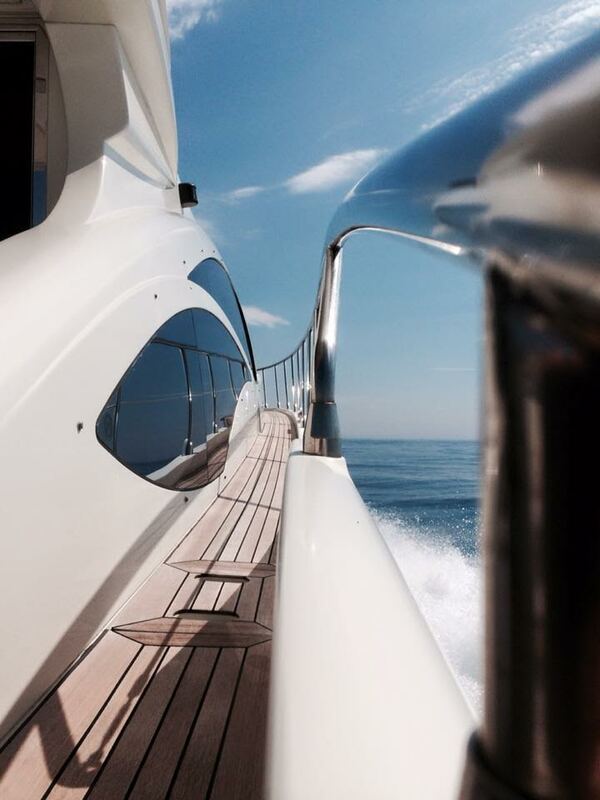 Lounging on the front deck of a luxury yacht waiting for lunch to be prepared? Enjoying some fine dining by candlelight? All of the above? Let me paint a little picture for you of what my perfect summer day looks like, and if it strikes a chord then feel free to steal a little piece of my paradise. As I’m sure you’ve all gathered from my blogs thus far all we truly do here in Taormina is eat, beach, eat, eat, and eat 😉 Just kidding, but Sicilians definitely have a knack for taking full advantage of the spoils of the Mediterranean. So obviously if you were in Rome you’d do as the Romans do, which means (lucky you) if you’re in Taormina then you must do as the Taorminese do! I’m going to take you on a little itinerary through a day of La Dolce Vita and hope it inspires you to indulge on your next vacay. Nothing says paradise to me like a private boat. I grew up in Miami so my affinity for being both in and on the water is endless. My perfect summers day starts with a whole morning dedicated to tanning on deck and cooling off with a dive into the aquamarine depths of the bay. Being out on the boat is my favorite way to spend time with a group of friends, my family, or even just my significant other. We swim, snorkel, listen to great music, and I love spending a morning away from the busy beaches but still being able to enjoy the best part of summertime in Sicily. Give me a floatie and ice cold one and I am one happy camper! I suppose one option is to return to dry land for lunch but why complicate things? 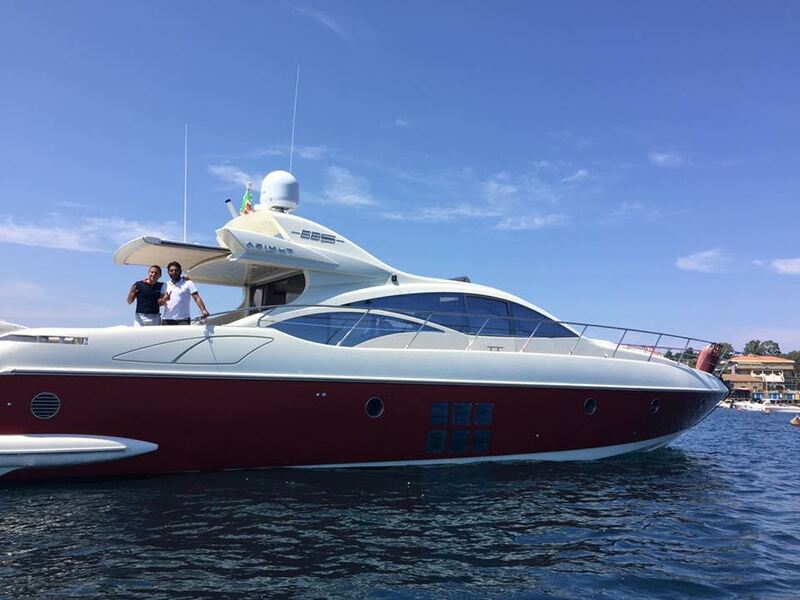 The best way to organize lunch on board is to have one of the nearby lido/restaurants deliver. That way you have everything prepared, don’t go through the hassle of cooking, and get to continue simply luxuriating. 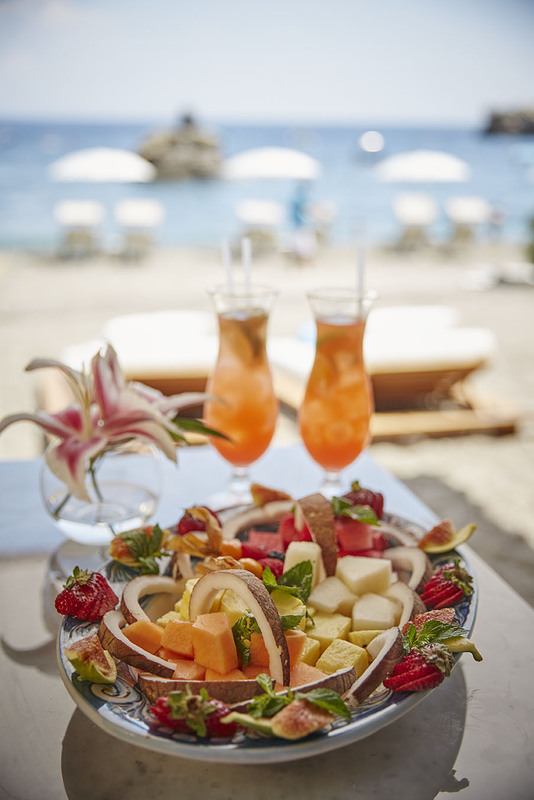 If not that then I always love fresh fruit plates, caprese salad, prosciutto and melon, cold cuts, cold seafood salad, etc etc…. These are my plans when we go out on a boat large enough to lunch on (even though I have been known to pack a ham and cheese sandwich and be utterly content). Ok, now that my magnificent morning is all planned out, what’s next on the itinerary for an unforgettable afternoon? 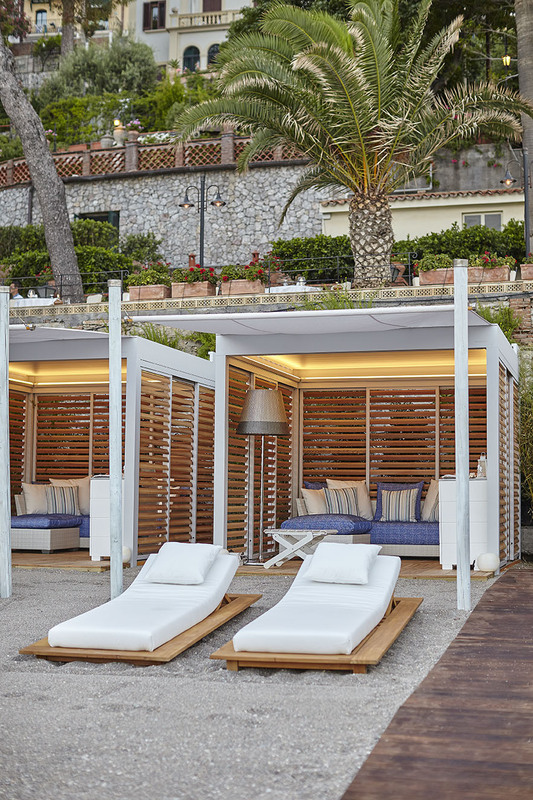 I’d say the best way to rest some sea legs is beach side in one of Belmond Villa Sant’Andrea’s private cabanas. This brand new edition to the hotel is the ultimate in exclusivity and beach luxury. 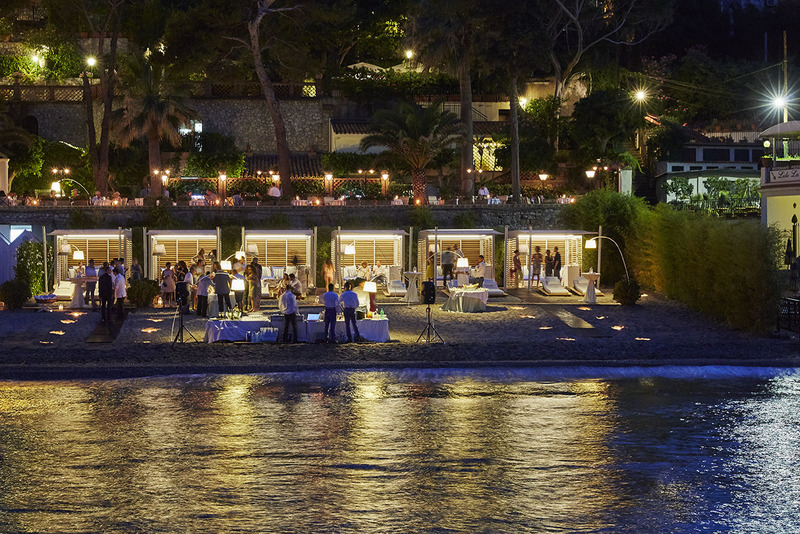 Once you go to Villa Sant’Andrea it’s very hard to leave, so why not make an evening out of it? Head over to the gorgeous patio at Oliviero and let chef Salvatore Gambuzza seduce you with plates on plates of traditional Sicilian delicacies including everything from the freshest crudo, to the ever popular parmigiana, to homemade pasta …There’s even a part of the menu dedicated to us gluten free eaters. Of course, my favorite part of any meal is the wine, and Oliviero’s experts will quench your thirst with a bottle (or two) from their extensive list. Between the view, the food, the wine, and the atmosphere in general, you’ll be on cloud 9 for the rest of the evening! So, any takers out there? 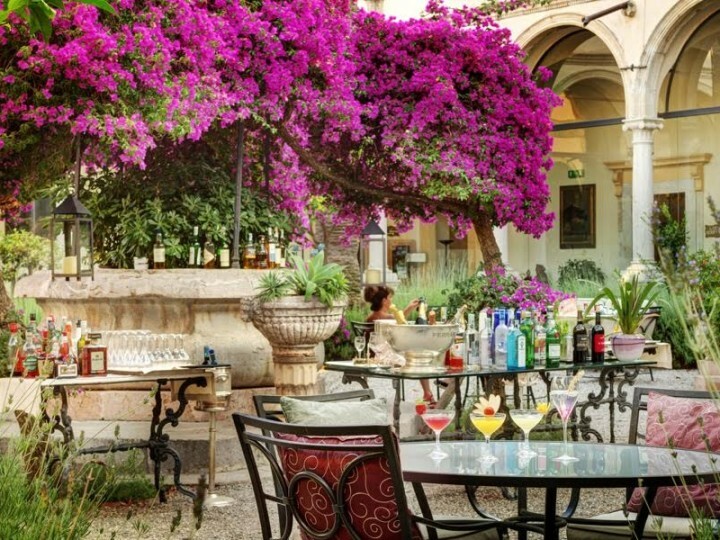 I’m planning to go to Sicily next summer and stay at the Belmond Taormina. your post just turned me into a kid who eagerly wants to go now!, I cant wait to do what the Taorminese do. There are a lot of great restaurants in Taormina. 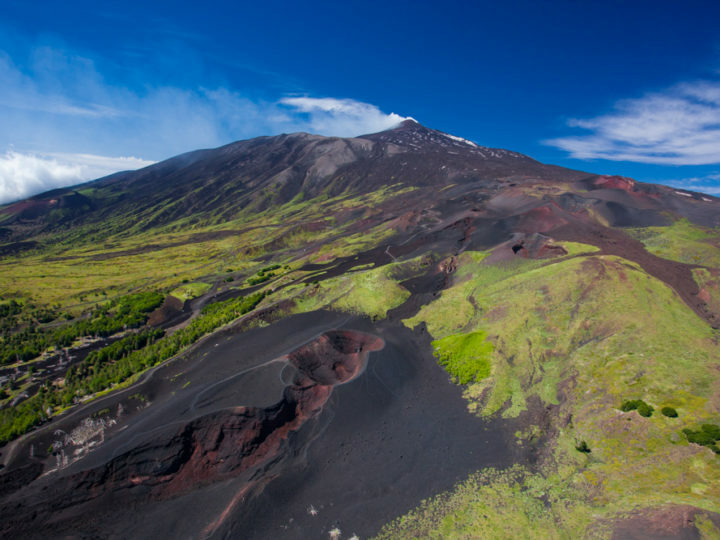 To mention just a few, we reccomend you to try: Nero D’Avola, Osteria Rosso Divino and Principe Cerami, a two stars Michelin Restaurant located at the San Domenico Palace Hotel. 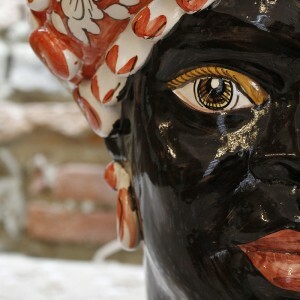 Let us know when you will be here and take the opportunity to live Taormina as a “Taorminese” with our tours&activities!